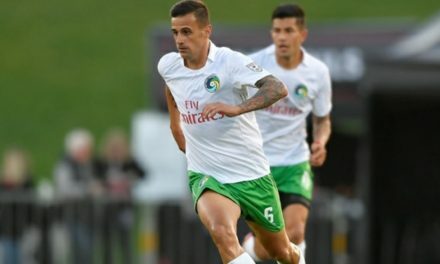 The one-off play-in round that will pit Cosmos B against the Brooklyn Italians in the Lamar Hunt U.S. Open Cup, was conducted at U.S. Soccer headquarters in Chicago Monday afternoon. As decided by the Open Cup committee, the National Premier Soccer League provided one of the opponents for the invited three teams in the play-in round, while the Premier Development League provided two. All three sides were selected from teams that had already qualified for the 2018 tournament. The first phase of the play-in round draw consisted of four envelopes (one each for Miami FC 2, New York Cosmos B, NPSL, and PDL). The city envelopes were drawn first and their order noted. The league envelopes were drawn next and matched with the city envelopes in the same order drawn. A second draw was conducted between the New York/New Jersey pool teams from the league that was paired with Cosmos B in the earlier draw. The exact date and times of the three play-in round games will be confirmed by the home team. The already-qualified team in each matchup will have the first option to host the single-elimination game and must provide specific venue, date and kick-off time details by 4 p.m. ET this Friday. Otherwise, the invited team will host the matchup. Miami FC reached the quarterfinals of the 2017 Lamar Hunt U.S. Open Cup. The Cosmos qualified for the Round of 16 three years in a row (2014, 2015 and 2016), while Jacksonville reached the fourth round in 2016.